Is the interior of your home too dark? Does your master bedroom, kitchen or dining room lack the architectural or design flair you’d like? Jazz up, freshen up and light up your home with the addition of a bow window. In this article you’ll learn the definition, advantages and disadvantages, options and places to use a bow window. Definition – A bow window is a grouping of 4 or more tall and narrow windows of equal size that are built into a curved window structure that extends out from the house. Provide vision & views to the outdoors – Bow windows can help you bring the outdoors in by providing a 180 degree view of the outside. Get air from multiple directions – Since the window protrudes out from the home you can greatly increase the amount of air flow by using a series of double hung or casement windows in your bow window box. 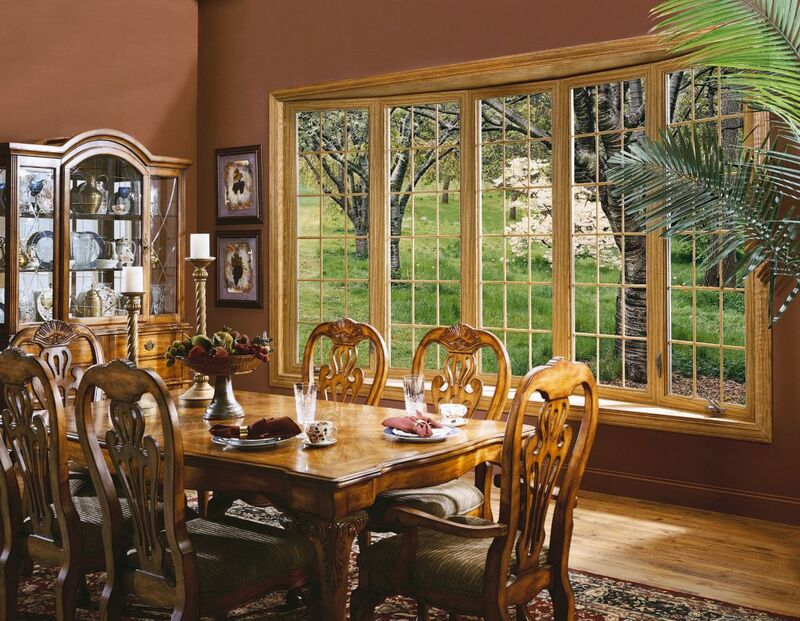 Add architectural style and a light filled open feeling to a room– Using operable casement or double hung windows the angled portion of the bay window can capture breezes – which will help you to get rid of cooking smells quicker or make the air in any room fresher. Whether you have a Traditional, Modern, Victorian, or Craftsman style home you can improve curb appeal, resale value and accentuate the interior using decorative glass windows and grids inside the bow structure. Difficult to escape – Since the 4 to 6 windows in a bow are narrow and tall they don’t work well as an egress window. Increased exposure to weather – Bow windows stick out from the home which puts them in contact with the elements more than standard windows. 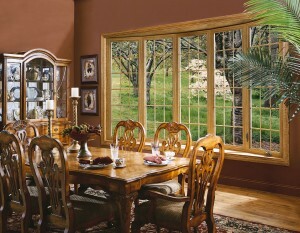 Cleaning of Fixed windows in a bow is harder – You can use either fixed or operable windows in a bow. The fixed ones have the drawback of needing to be cleaned from the outside. 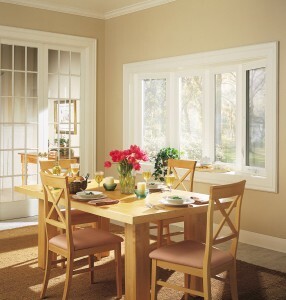 Bow windows are most often found in dining, kitchen, living, family rooms and bedrooms. Do you have any questions or advice about using a bow window? Please comment below. It takes about 2 to 3 weeks to get the custom colored glass blocks.